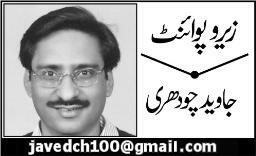 Download a scanned copy of Javed Chaudhry’s book “Zero Point 2010 (Collections of Urdu Columns in year 2010)“. We are thankful to our friend Afridi who has shared this great resource for all of us. soon, we will update books section http://www.dailyurdunews.com/javedchaudhry/books to make available other books too. You may subscribe your email at www.dailyurdunews.com/javedchaudhry to get an update when resource will be available. Sir your columns are very nice. Thank you very much for providing us these services. Assalm-u-Alikum. may allah keep blessing upon u.sir Iread ur colums which r full of knowlege. Javed bhai u r doing a great job…….. I m highly inspired by your all the stuff.realy gooood. Sir , how are you i am a great friend of you. i am very inspire from you.